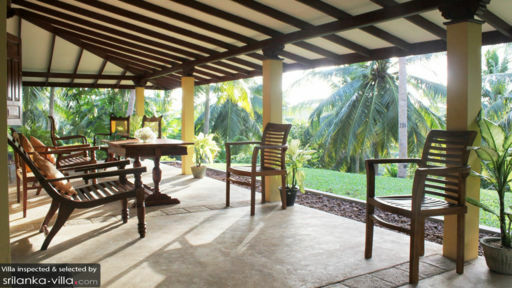 A traditional, garden villa in beautiful Sri Lanka a few kilometres away from Ahangama beach, Peacock Point is part of Southpoint Villa in Sri Lanka that offer familiar living amid coconut, cinnamon, tea, and tropical fruit plantations. Surrounded by fragrant groves, this serene two-bedroom property has been designed with special open-plan living and dining areas as well as plenty of room to enjoy the plantation views from the comfort of the house. The historical city of Galle is a 45-minute drive from the villa where you can visit the UNESCO World Heritage Site of the Galle Fort. The two bedrooms at Peacock Point are located one on the ground floor and the second on the first floor. Each air-conditioned bedroom is furnished with a four-poster queen bed and twin beds easier for those travelling with kids. The bedrooms are lovely and comforting to rest in with a quiet ambiance for the utmost relaxation. Both bedrooms have en-suite bathrooms with hot/cold water supply. The splendour of resplendent nature abounds at Peacock Point with manicured gardens teeming with tall trees and rich flora extending out to meet the plantations. Sit back and relax on the veranda that overlooks all this luscious beauty. There are comfortable chairs and a table where you can take your morning or evening tea, breakfast, and other meals if you desire. The garden has seating scattered all around for you to occupy your nook and simply breathe in the fresh air packed with sweet fragrances. Peacock Point is a two-storey house that has its living and dining area on the ground floor adjoined to the veranda. This huge space can be used to entertain guests for evening drinks and a garden party. Furnished well and with taste, the elegant interiors transport you to historical Sri Lanka with neutral colours, natural wood furniture, columns, and a trussed ceiling. You may spot a peacock or other native birds while enjoying a refreshing drink on the veranda. Amid the tranquillity from the plantations and the villa gardens, you can truly let loose and enjoy these blissful moments. You will find a spacious open-plan sitting area on the second floor with a daybed, chairs, and a guest bathroom. This is where you can catch beautiful views of the expansive plantations. The veranda runs between the living, dining, and kitchen at Peacock Point. The dining area is outside so as to provide guests with an alfresco dining experience surrounded by lush nature and fresh air. A local resident would be happy to prepare local delicacies to suit your taste enabling you to enjoy the flavours that dominate the coast of Sri Lanka. The kitchen is well-equipped so you can prepare your own meals as well. This self-catered home is perfect for travellers as you get to enjoy your own privacy without any disturbances. A village woman is available to keep the premises clean and in perfect condition. She will be at the house from 7 am to 4 pm and she can prepare authentic Sri Lankan meals only. The villa also has a night watchman. There are plenty of activities for guests nearby and some of them are only a short walk away. For dog lovers, there is a dog shelter within walkable distance where you can play with furry friends for the best experience. 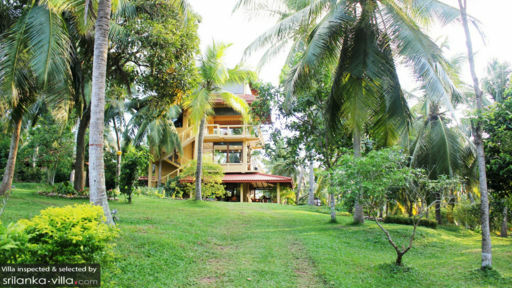 The beach is 5 kilometres from the property whereas the city of Galle is a drive away. 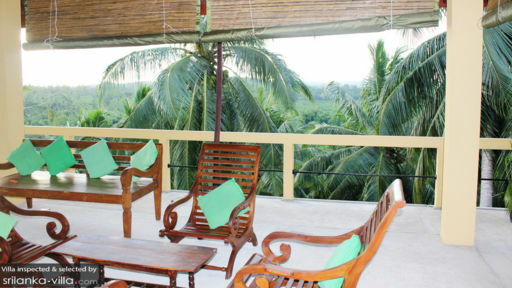 The location is idyllic, tranquil, and meditative with quiet serenity of the paddy fields and the calm of the ocean.